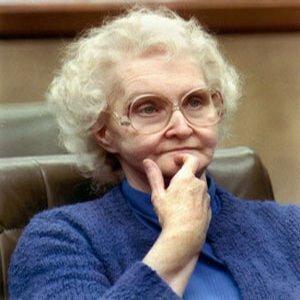 Sacramento serial killer Dorothea Puente has died. 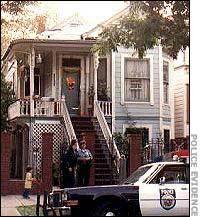 I lived just down the street from Puente’s infamous boarding house at 1426 F Street in 1988 when police began digging for bodies in the front yard of the old victorian home. Like many, I gathered on the street to watch the earth moving equipment at work after the first body was discovered; I never saw anything gruesome myself, but a total of seven bodies were found on the property. High drama ensued when Puente, who, incredibly, was not initially held by the police, disappeared. She was soon caught in southern California and was brought back for trial. She was eventually convicted of three murders and was sentenced to life in prison. Living in the relatively tightknit community that Midtown was back then, it wasn’t unusual to meet people with Puente stories. Around 1990 I dated a woman who lived in the house next door. Her kitchen window looked directly into the yard, and it was weird to see the kids of the tenants playing there. One of my wife Liv’s old roomates had made off with a string of Puente’s Christmas lights after she was arrested – he dutifully decorated their apartment with them each year. Anyone else out there remember Sacramento’s most infamous landlady?